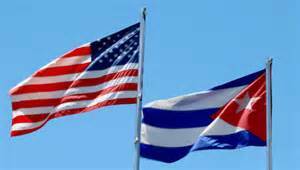 HAVANA (AP) — The Obama administration is announcing that it will allow Cuba’s small private business sector to sell goods to the United States in a potentially important loosening of the half-century trade embargo on the communist island. A list published by the U.S. State Department Friday said Americans will be allowed to import anything produced by Cuban entrepreneurs with the exception of food and agricultural products, alcohol, minerals, chemicals, textiles, machinery, vehicles, arms and ammunition. The imports would have to be produced by a Cuban operating in one of the dozens of categories of private business allowed by the Cuban government. Most of the categories are for services like car maintenance or watch repair, not potentially exportable goods. What’s more, virtually all Cuban exports are produced and shipped by state-controlled enterprises and there is no indication that the government is willing to loosen control and allow private businesses on the island to start trading directly with firms overseas. In short, no one should expect Cuban goods to start flowing to the U.S. in large quantities anytime soon, said Pedro Freyre, head of international practice at Florida-based law firm Akerman LLP. However, the possibility of exporting Cuban goods to a massive market 90 miles away could inspire private businesses to begin developing products designed for export to the U.S., he said. Cuba began allowing widespread private enterprise in 2010 as economic stagnation forced the state to weigh large-scale job cuts. The number of people employed in private businesses grew to 483,396 this year and appears to have stalled at roughly that number due to a lack of domestic demand. More than a quarter of private jobs are in food sales, transportation and housing rental. A potential source of exports to the U.S. is the new category of worker-owned cooperatives, which function in many ways like entrepreneur-owned businesses but are more closely integrated with the state bureaucracy and may find it easier to export than entirely private enterprises.